Ladies Harry Potter PJs, this two-piece set would make the most perfect Christmas gift as it comes in a little tartan drawstring bag. 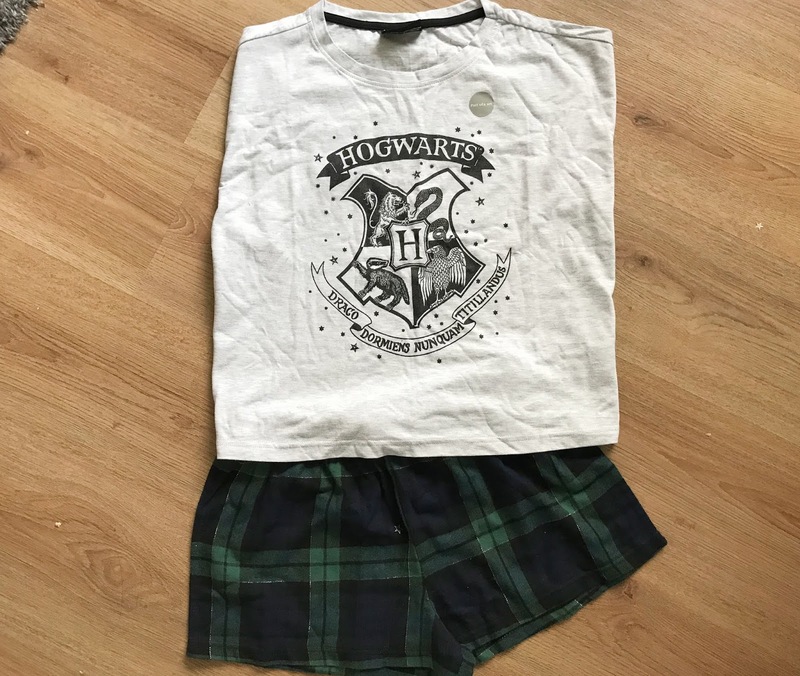 The set consists of a short sleeved t-shirt with the Hogwarts crest on and some soft green tartan shorts. Available in sizes S, M and L they are priced at £19.99 and are available to buy now at New Look. They make an ideal gift idea for any Harry Potter fan and my sixteen-year-old daughter has already claimed these for herself. Men's Dressing Gown, we were also sent a men's Harry Potter dressing gown RRP £27.99. My partner is the biggest Harry Potter fan of us all and has lost count of how many times he has read the books and watched the films over the years. 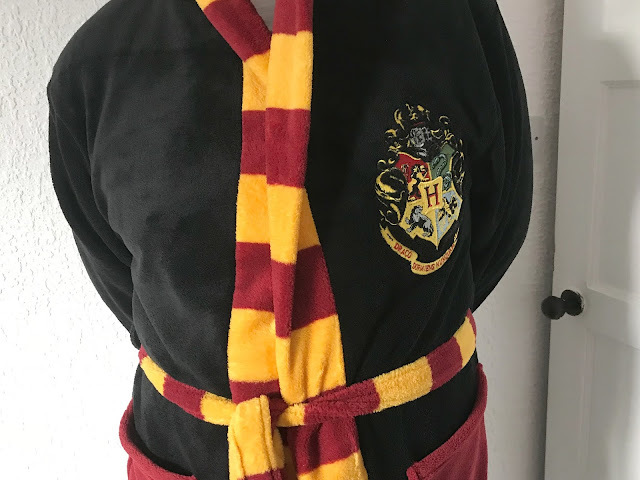 In the past, I have struggled the find any Harry Potter themed gifts for him so I was glad to see that New Look do a men's dressing gown. The dressing gown is new to the range and is not even on the website yet, it is so soft and perfect for keeping warm on the colder nights. 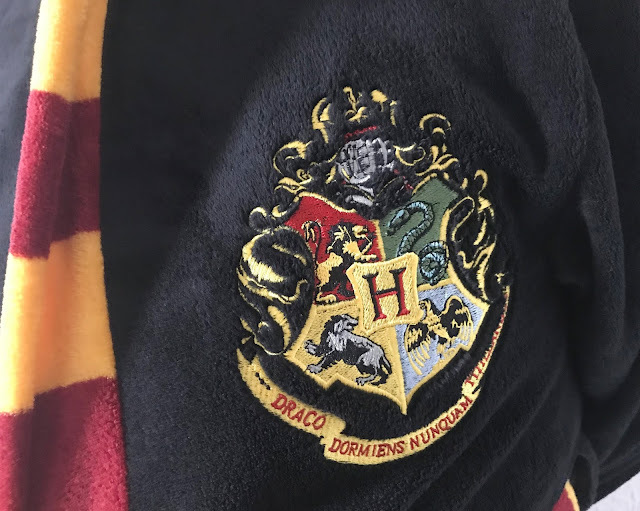 It is black with a Hogwarts crest on the front and the name Hogwarts on the back and the distinctive red and yellow trim around the edges. 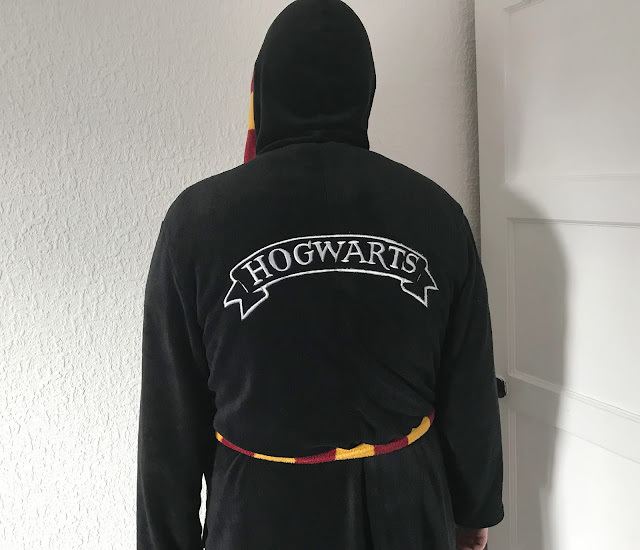 We were sent a size s/m and I didn't think it would fit my giant of a fiance who is 6ft 2 and normally gets a large or x large in clothing, however, the dressing gown was so roomy and fitted him perfectly. 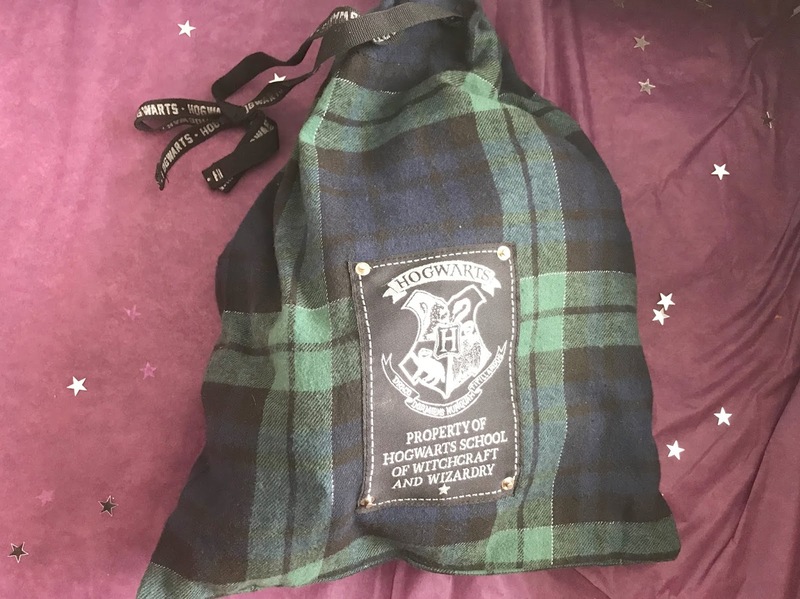 We were really impressed with the quality of both items as they were really soft and snuggly and perfect for wearing over the festive period. 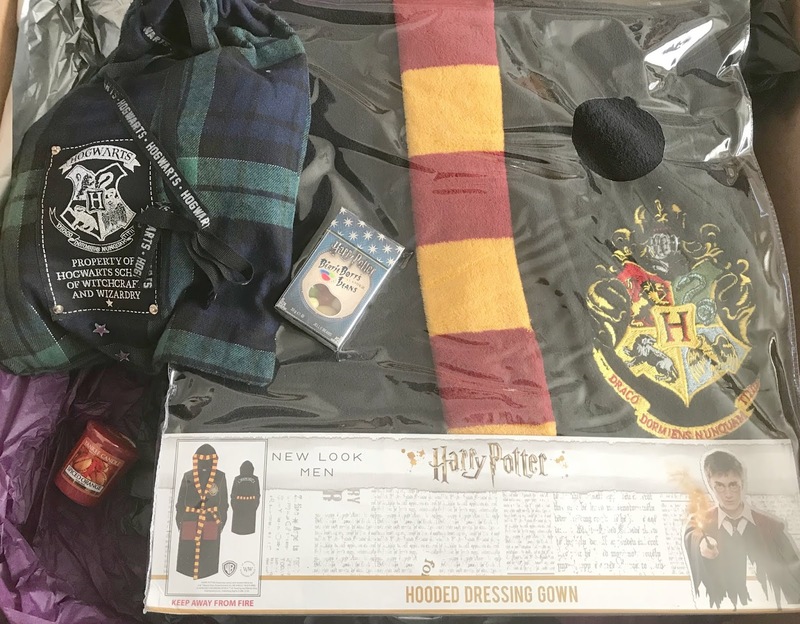 If you have a Harry Potter fan to buy for this Christmas then you really should head to New Look to check out the range. Tonight (Monday 12th November 2018) 8-9pm over on Twitter join myself @nefamilylife and host @danielleGparker along with some other bloggers for a Twitter chat about getting cosy in your jammies and watching the Harry Potter films. Be sure to use the hashtag #HarryPotterPJParty in your tweets and there may even be some prizes to be won. Disclosure I received these products for the purpose of this review, however, all opinions are my own.